Mississauga, Canada (CHAKRA) – An important leader and pioneer of the Hindu religion, Pundit Jankie Persad Sharma has died. He was a prominent leader for Hindus in both Trinidad an Tabago and Canada. He was the one to start celebrating Diwali in Trinidad in addition to building temples, performing wedding ceremonies as well as taking trips to India. He was 80 years old and settled in Canada in 1989 after many Trinidadians requested for him to live there. He lived in Mississauga and passed away on Thursday, March 1. A funeral with many attendees was held for him a few days later. Sharma’s father, originally from the state of Madhya Pradesh, came to Trinidad in 1910 with his 12 year old son. Once in Trinidad, Sharma’s father became a certified priest and conducted many religious ceremonies. He had eight children of whom Sharma was the eldest. Sharma along with two of his younger brothers followed his dad’s footsteps and also pursued becoming priests. Sharma was conducting his own public prayers and rituals by 1944. He married a woman named Badewattee Persad in 1962 and they had six children altogether. He had begun to create temples by 1971 in Matilda, Princes Town, Barrackpore and Rio Claro of which one is the well known Moruga temple in Matilda. For the diaspora, Sharma organized the first tour to India in 1983 because many Trinidadians were more interested in their roots and where they came from due to listening to radio programmes as well as from watching movies associated with their cultural past. His initiatives such as his visits to India increased the demand of people wanting to learn more about their ancestors, their religious leaders and temples. The Sathya Sai Baba following was one such example. He became so respected by crowds as well as a charismatic leader that Sathya Sai Baba himself requested to meet him and talk privately as well as give blessings to all Trinidadians that he represented. Sharma was asked to address the opening at the first Diwali Nagar celebration in 1986 in Chaguanas. Hindu awareness was growing and thus this event since then became an annual function which not only drew Hindus but also people of other faiths who just wished to experience the auspicious occasion of Diwali. Thereafter, on the island, every Hindu celebration began to be celebrated with high respect and grandeur. Most Trinidadians who moved to Canada, Britain and the United States starting in the 1970’s and onwards all called Sharma to perform their religious ceremonies such as weddings, house warming’s and other related religious events that required blessings from a respected elder. Due to this increase and demand for him, Sharma and his family moved to Canada thereafter to settle in the province of Ontario. In Canada, he started the Satya Jyoti Cultural Sabha while becoming more prevalent to Canadian Hindus at the same time, marking a presence of Hinduism in the Canadian society. All levels of government in Canada praised and honoured him with certificates and recommendations for his service to the Mississauga and Canadian community as a whole. 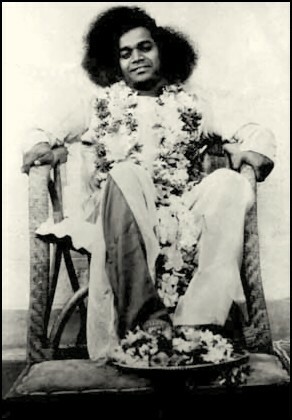 Pundit Jankie Persad Sharma had become Canada’s first swami and was also known as Swami Atmananda Maharaj Ji. A few days ago one of our readers from the US wrote to us sharing a sad story about his daughter’s response to his loving concern. He had been saving considerable amounts of money for his daughter right from her childhood and now when he sent the accumulated sum to his daughter, he received not even a ‘thank you’ from her. Understandably, this tore his heart and we felt prompted to write this Sunday’s article on the theme of gratitude. Gratitude is a quality which Sathya Sai Baba has emphasized in almost every discourse he gave to the students. Here are some reflections on this very important virtue by a former student of Swami’s Institute, Sri Y Arvind. I was a guest in the tea estates of one of my friends in the Coorg District. They had a huge bungalow with a beautiful garden. Manicured lawns private enclaves, arbors…their garden had it all. The bungalow was colonial style and was designed so that each bedroom had its own balcony and being on top a hillock every room was a room with a view. The vista of the dark green spread out like a patchwork quilt and down the hill. My room faced the east and I had the pleasure of watching the sun rise through the mist and rain…when the clouds permitted. One morning I woke with a feeling that today would be different. For some strange inexplicable reason I was feeling at peace with myself…I wanted to be alone…left alone…I wanted to savor every moment in its entirety. It had rained the whole of the previous night and the gentle whisper of the drizzle had ebbed into the sounds of dawn. It was still dark and the aroma of wet earth wafted in through the French windows. Sitting up in bed I felt different…a strange sense of humility enveloped me. The servants of the house had already woken – I just had to ring a bell and tea was delivered to my room. With a mug of freshly brewed aromatic hot tea in my hand, I sat under the awning that stretched all over the balcony letting the warmth of the rich brown liquid seep into my palms. The haze that hung over the misty hills from behind which would emerge the sun, were tinted pink, yellow and orange. Even as I watched I saw them melt and reveal the lord of the day…suddenly there was a lump on my throat. My eyes blurred with tears and I was floating like a twig on waves of emotions. I was filled with an overwhelming sense of gratitude to God; that I could see, hear, touch, feel and experience all that He had created…in its totality. My head bowed with tears trickling down my cheeks I thanked God…from the bottom of my heart. Thank you God! For the gift of Life! Thank you for allowing me to be part of this moment and above all thank you for awakening in me this sense of Gratitude. Every time we are faced with a situation in life where we have to adjust or accommodate someone or somebody or something….we crib and quail that things are not going the way we planned them. We blame destiny when we have a flat tyre and curse fate if the gate is closed when we reach a railroad crossing. We fight with the cabdriver who crosses lanes and roar at the truck driver who overtakes us…life is so full of deadlines and commitments that we never find a single moment to stop and smell the proverbial roses. Above all how much time do we spare for God who has given us this beautiful world? Time and again we are reminded that we are all children of immortality dressed differently. All the differences are physical and ephemeral but deep down we are all the same. Having said that…were we to really feel it, what prevents us from expressing gratitude to the God in our fellow man? Cicero, a consul of Rome during the reign of Julius Caesar concurred when he said, “Gratitude is not only the greatest of virtues, but the parent of all the others.” And mentioning parents…. how much are we indebted to our mother and father? Having given us this body with which we enjoy the world and perform our duties, they should be the primary recipients of our gratitude. Swami says ‘Mother is God’ and ‘Father is God’; He in fact deifies them as Living Gods. Punning on the word ‘parent’ as ‘pay-rent’, Sathya Sai Baba says, having received so much from our parents, the least we can do is to offer them Gratitude. The advantage of developing this wonderful virtue of Gratitude is that Gratitude does not come alone. Sacrifice, honesty, love, forbearance, understanding, tolerance, forgiveness…all of them arise as one develops the wonderful virtue of gratitude. The power of Gratitude is eloquently expressed by Melodie Beattie, author of many inspirational books. Gratitude makes us content with what we have and not crave for more. We learn to accept the Will of God in our lives and not fight every circumstance. We learn to discern with clarity and find order within ourselves – it helps foster discipline. Problems we face in our lives are actually lessons we learn in the school of life. They are custom-made to our level of understanding and evolution by the Teacher. They become ‘gifts’ only if you learn from them so that you won’t have to pay the next time you face one… Learn again from failures making them stepping stones to success. Coincidences will cease to be so once we recognise the Divine Design. Every moment of life becomes a miracle were we to perceive His Grand Play. The past is a history of what we have done – and it will continue to repeat itself as long as we don’t learn from it. As one wise man said, “You can either learn from the past or run from it…” More often than not, in retrospect, we find some past experiences which were bitter then to have made now sweeter. Mistakes happen – don’t dwell on them . Take the essence, absorb it and then look ahead. Mistakes are lessons of wisdom. The past cannot be changed. The future is yet in your power. Swami says “Past is dead, future is a dream, present is all you have. Present is omnipresent”. Thankfulness is limited to words but Gratitude reflects itself in action and is therefore far superior. What better example of this do we find than Sathya Sai Babaji? Late Professor Kasturi once found Swami patting and blessing a buffalo(!) thanking it for the effort it had taken to carry water up the hill everyday – while none else had bothered. Yet again on another visit, the watchman of a guesthouse where Sathya SaiBaba had rested had the privilege of a personal photograph taken with the Lord. Just the watchman and God… but the poor man did not receive a copy and was miserable. On His next visit a year later Swami, sent for him and personally gave the photo. Whether we are aware of it or not, He remembers every single act done for Him and returns it a million-fold. Draupadi, the consort of the Pandavas, bound the bleeding finger of Krishna with a strip of cloth torn from her own sari. The Lord returned this small action, multiplied a thousand-fold when she was being dishonoured in the court of the Kauravas. One can go on and on in this vein… When God does not mind saying “Thank you” in His myriad own mysterious ways…shouldn’t we do the same to our fellowmen? Times change, people change, but let the change be for the better. Let our days begin and end with gratitude to the Lord for this wonderful opportunity of being alive. To be alive is a miracle and to be able to be of use to others is a greater gift. And finally, life finds fulfilment only when it is of use to others…Gratitude teaches us that!. Filed under: Faith, God, Gratitude, India, Life, Love, Peace, Sai Baba, sathya sai baba, Thank You | Tagged: Cicero, Earl Musselman, Forbearance, Forgiveness, Honesty, Julius Caesar, Krishna, Love, Melodie Beattie, Sacrifice, Swami, Tolerance, Understanding, Virtues |	Comments Off on Thank You…God! How Much Salary Does A Man Really Need? Loving Sai Ram and greetings from Prashanti Nilayam. The title of this week’s letter is inspired by a famous story of Tolstoy entitled, HOW MUCH LAND DOES A MAN NEED? And the motivation for the theme? Read on to find out! This is the time of the year when our newspapers and TV channels are full of news about graduates of our Brand Business Schools, who get fabulous offers from overseas, with annual salaries touching as high as $200,000. The Public is just floored by this phenomenon – fresh graduates getting this kind of fat salaries. Understandably, these young men and women instantly become heroes and heroines and their pictures are flashed everywhere. The Directors of the Business Schools beam from ear to ear, Professors who taught these graduates are full of pride, and hundreds of young people look admiringly, hoping soon it would be their turn to reach El Dorado. In academic terms, there is really no substantial difference between the Business School in our Institute and these so-called Brand Institutes. The syllabus is more or less the same, and we too study the same books. There are differences though. For one thing, in the Brand Business Schools, the students get more exposure to many practical details of today’s business world. We on the other hand get an entirely different orientation, which has its own value. Learning about some of the intricacies of today’s business world does give some tactical advantages to the graduates in terms of entry into high-profile corporations. On the other hand, we learn, especially in a very practical way, more about humans, the way they behave, their aspirations and so on. In the long run, this experience is invaluable in its own way. After all, in the ultimate analysis, business is always done with human beings and Society is the real market place. Thus, when it comes to matters like really dealing with customers, and having a good appreciation of what it is that the public wants, we are much better equipped. For the students of the Brand Schools, the horizon often is the Corporation they are in. For them, the shareholders are very important. For us, Society is everything, and the stakeholders, meaning the public at large are very important. In the Brand Institutes, the bulk of the training is in the classrooms. For us, however, the bulk of the training is really outside the classroom. To start with, our Hostel is where we learn most of our lessons, because it is truly a microcosm of Society. In the Hostel, we are about ten or twelve to a room. Compared to other colleges, this might sound horrible. On the other hand, once one gets used to this, the experience is like living in a commune and teaches many valuable lessons. The Hostel authorities make sure that in every room, we have a good mix of students from different regions, speaking different languages, studying different subjects and from different strata in life. Living in the same room, sleeping on the floor, and working with our brothers all the time on all matters relating to the Hostel and the College teaches us how to be austere, how to adjust, how to co-operate instead of aggressively competing, how to help each other, and so on. It shapes our personality in a subtle but very significant manner, for the better, we believe. Another important thing about our Hostel. Compared to other Hostels elsewhere, our Hostel has very few service staff and as a result, the students literally run most of the activities in the Hostel. For example, all minor electrical repairs and plumbing repairs are done by the students themselves. When a boy is sick, other boys prepare special food for the sick boy, as prescribed by the doctor. In effect, all labour is shared. The boys serve in the dining hall, they take care of the Hostel library and computer centre, they take care of the intercom, the audio system, they stitch costumes needed for plays and the Institute Dramas, they have a music group which takes care of the Bhajans and special music needed so often for various occasions, they take care of decorations when required, and so on. These multiple skills come to the fore during the Annual Sports and Festival Meet, when very complex structures are designed and created by the boys, entirely on their own. This calls for skills such as welding, papier-mâché work, a bit of automation and so on. Indeed, our Annual Sports and Cultural Festival, offers the best commentary on the training that we receive in the Hostel. It is absolutely unique, the like of which cannot be seen in any University in India, because where else do students get such training? It is only those who have actually witnessed the event who would able to appreciate what an all-round training we receive in terms of character development, self-reliance, working in harmony with others and so on. Elsewhere in the world, Business Schools operate so as to throw up some stars and a large number of ‘lesser’ mortals. In our Institute we have a unique system in operation in the Hostel. The principle is that everyone has some talent in high measure and that person must therefore be encouraged to make use of that talent for common good. Thus, one boy may be very good in sports and be the Institute Sports Captain. Here he is the leader and others follow him. But this same Captain might be in the Bhajan group, which has its own leader. This happens across the board, so much so everyone learns simultaneously to lead from the front, as also to follow. This is a very unique kind of leadership training that teaches everyone to lead and also to follow by listening to others. Hostel is not everything, and we must not forget Sathya Sai Baba, who is the One that really shapes us, in so many different ways too. Take, for example, our daily visits to the Mandir for Darshan. You know, it takes a lot of discipline to sit quietly on the ground for hours, without fidgeting. That is a special training in itself; it teaches patience. When we are in the Mandir, what we eagerly look forward to is at least a glance from Swami, and those fleeting glances do come. Others might not notice them but we never miss. Sometimes, it is a stern glance to a boy whose monkey mind is up to no good. At other times, it is a glance of immense love and compassion, assuring the receiver that He is there to help in tiding over the looming crisis. On other occasions, the glance is wrapped up in that matchless smile of Grace that everyone yearns for. Over the years, all these things add up in a most effective and miraculous way and that cannot be lightly dismissed. 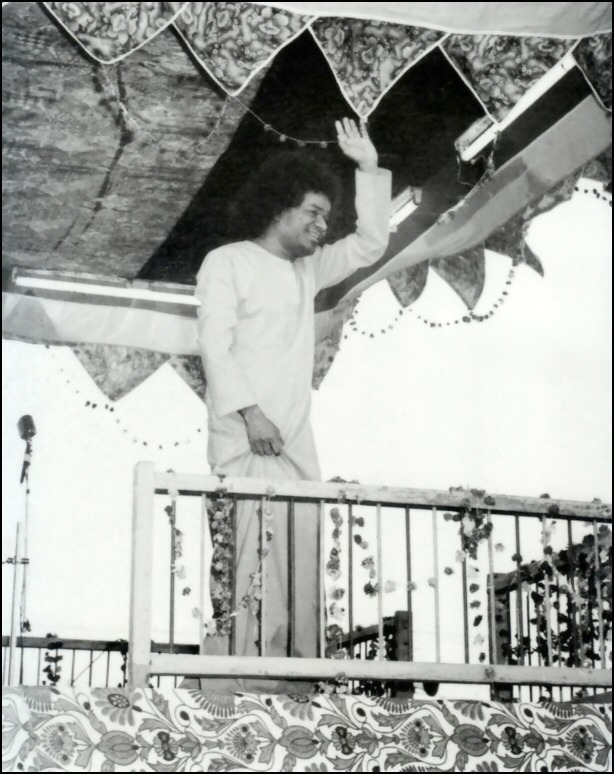 We must also not forget how Swami gives us so many chances, like singing Bhajans, or distributing Prasaadam or presenting skits, opportunities to speak in His Divine presence, sing songs on festival mornings and so on. When Prime Ministers and Presidents come here for ceremonial occasions, who is it that is in charge of hospitality services? Students of Bhagavan, both old [now serving as teachers] and new! And how meticulously Sathya Sai Baba instructs those in charge of service! Does this happen elsewhere? In every possible way, we here get trained for life in such a manner that it enables us to fit in wherever we go. An important part of the training is the Annual Grama Seva or Village Service. Where else do you see the entire faculty and students working for ten to twelve days at a stretch, cooking food, packing the food, and carrying the food, sweets and clothes to over a hundred villages, visiting every house in every village and hamlet, and distributing all this with love and compassion.This exposure gives us a deep feeling for rural India, without which urban India would be nowhere. Indeed, it has changed the outlook of many students who wanted to go abroad, inducing them to stay back and serve the country. Above all, what we learn every single minute is the importance of character and integrity in life. People ask: ‘Does Truth work in the dog-eat-dog business world’? It does because, increasingly, Corporations prefer transparency, and integrity in professional work. In this respect, we actually have an enormous advantage over the graduates of the Brand Institutes. People ask: ‘Why does not your Institute have placement service’? The answer is simple. Firstly, placement deflects the attention of students from studies to money. Swami is very clear that students must study for leading a proper life and not for making money. Secondly, stripped of the glamour attached, placement is like an auction! We value knowledge and education, and do not think knowledge should be degraded in this manner. This is quite contrary to the noble traditions of this country. People ask: ‘Look, the graduates of the Brand Institutes are grabbed by the big corporations paying huge sums. What about you fellows? Do you get jobs with such fat salaries’? Our answer is simple. First of all, it must be noted that barring half a dozen ‘top stars’, the bulk of students elsewhere get the same kind of jobs and salaries as our boys do. In fact, over the years, big companies in India have come to learn that Sai students 1) are not attracted by salaries, but by the desire to learn through experience; 2) easily adjust to the work assigned instead of bargaining for work they like; 3) are loyal to the employer and do not jump jobs simply because someone offers a slightly higher salary; 4) are very good team players instead of being temperamental prima donnas. 5) Finally, Sai students actually improve the corporation they serve by making it a better corporate citizen. Thus, Sai students have their own ‘market value’. This is not all. Sathya Sai Baba says, ‘You are what you are because of Society. So, when you go out into the world, make sure you serve Society.’ Thus, for Sai Baba’s students, serving Society is the main goal in life, and this they do in many ways. Firstly, wherever they are, they work for their employer in the true sprit of Karma Yoga. Next, they use every spare moment to go out into Society and assist those in need of help. Some go the villages during weekend and do all kinds of Seva. Some run medical camps, and so on. Mind you, all this goes on throughout the year, very quietly, without any prompting from anyone. Do you know, for example, one of Swami’s students who is in Nigeria, works in a Leper Camp during his free time, actually dressing the diseased limbs of lepers. Can you find one such example from students who have graduated from all the famous institutions in the world. In God’s Universe, everything has a purpose, and every individual plays his or her own assigned role in the never-ending Cosmic Drama. Thus, we do not criticise or condemn the graduates who have studied elsewhere. If some of them are offered big and attractive salaries, so be it for that also is what the Good Lord has willed. For us, that same Good Lord has given other instructions, and over here, we are trained to follow those instructions when we go out into the world. We have no right to condemn others even as we have no right to praise ourselves. God has given every one a role to play; others play their roles and we play ours. In the ultimate analysis, who is to say which is better? But this much we do know: If we live with integrity and offer everything to God, there can be nothing better. This is possible for both the king and the pauper. The good thing about our Institute is that we are constantly reminded of this truth, and that is what makes us different. And we are mighty happy to be different, for this is a difference money cannot buy. So, why should we complain?! Well, we were quite amazed to have this incisive analysis of the nature of Sathya Sai Baba’s University and the Business School of the University in particular. What do you say? Do you agree or is there something our boys have missed? Do write and tell us please; we would welcome your comments! I offer my loving pranams at the Divine Lotus Feet of Bhagavan Baba. Sai Ram to all of you. I think that this session can be questions and answers rather than giving a talk. So, if you have any questions or if you like to ask anything, I will try to answer. Question: Maybe you could talk to us about Education in Human Values, how it influences our lives, the lives of youth, and education. Maybe you could repeat the example about what you said in Barcelona about children trying and trying. There was some experiment. We would like to hear that example once again. Answer: Education in Human Values is really the main mission of Bhagavan Sri Sathya Sai Baba. 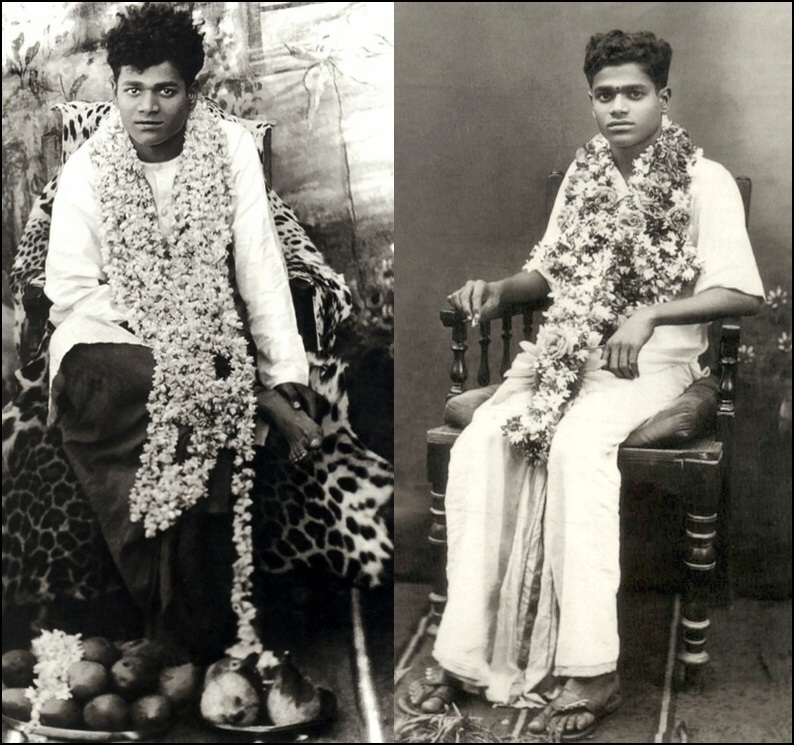 It is through this education that Swami has said His Message will be known all over the world. It is through this education that peace will be established in the world. In fact, Swami has started another trust called the ‘Sri Sathya Sai Trust for World Peace’, and education will be the main work of the new trust. Thus, education is going to become more and more important in the world. The reason is because children, when they go through this system of education, are transformed. And when children are transformed, then the teachers very quickly are also transformed (although the teachers should first transform themselves before they teach children!) (Laughter) But you know, as in the Sathya Sai School in Thailand, many teachers come from many places. They are not devotees. But then, when they come close to the children who are full of love, they become transformed. And when children go back home, they transform the parents. (As if I am not working hard!) I am already working very hard. (Laughter) So He really wants to push very hard to make sure that His education, which is now changing quite a bit to what we call ‘Educare’, is going around the world. Now it is not only in the West or in the East, but where you have the strongholds of Islam, that they are also interested in Sathya Sai Education in Human Values. For example, in Saudi Arabia, which is the headquarters where the religion of Islam is based. A few years back, I was asked to go and give training to teachers in Saudi Arabia. The organiser was actually a medical doctor who comes from Denmark. But he is in a hospital where he treats the princes of Saudi Arabia. So he had a lot of influence. So he asked me to go there to give a seminar. But then, they sent me a thick book like that. And in that thick book, it tells you what you cannot say in Saudi Arabia. (Laughter) They say that for a foreigner, who is not a Muslim, you cannot talk about Islam. If you do so, your head will be cut off. (Laughter) I am not allowed to talk about values. Because they have their own values, and they don’t want any more values, they say. The medical doctor said he would arrange all the visas for me to come. But finally, they said, “we don’t need anybody to come and train our teachers.” So, they rejected the visa application. At that time, I was Secretary to the Minister of Foreign Affairs in Thailand. So I told the medical doctor, “Don’t worry. I will get my own visa.” I went to the Ambassador of Saudi Arabia in Bangkok and you know, diplomatically, you cannot refuse a visa for the Secretary to the Minister of Foreign Affairs. So they gave me a visa, as well as one to Dr. Tudo, who was my associate. We would go together to do training in those days. So, I contacted the doctor and told him that we were coming to give this talk. They gave me a warning that when we go through immigration, they will question us as to why we want to come to this place, as it is not a tourist place and there’s nothing for us to visit once we come. And so, we were told that like that they will question you for a long, long time on entry. So, I just sang the song, “Why fear when I am here?” (Laughter) And we walked straight through immigration! Nobody saw us. (Laughter) We were out within ten minutes. And the organisers weren’t there. They thought we would be delayed for at least an hour. We were outside waiting one hour before they came! Then the teachers who were invited to come were also protesting. They said that they will report to the religious police everything we say. In Saudi Arabia, they have police especially for religion. They will protect their religion. So, they need a lot of police people. So says Sathya Sai Baba, Sathya Sai Baba, Sathya Sai Baba, My Lord. The next day, we had our seminar. The Muslim teachers were all there, trying to catch any mistake that we made. I spoke for three hours. And the Muslim teachers were in tears. They came up to me and said, “Is this what we were against? No! This is something that we really need for our country, for Saudi Arabia.” They were all so happy to hear what we presented to them, which was the essence of Sathya Sai Education. And then in the afternoon, Dr. Tudo spoke for another three hours. But this time, there was no problem. Everybody wanted to hear! The miracle doctor, who is the Danish man, he was lying in the back of the lecture hall. He was lying down because he had terminal cancer. It was his last wish in the world that Sathya Sai Education should be heard in Saudi Arabia. And he was in tears as well, because he was so happy about the whole proceeding. Then two or three days after that, he passed away. So, you see the power of Sathya Sai Baba, getting the education, which is His main mission, to go to every country in the world. I would just like to tell you another story in another Muslim country; this time in United Arab Emirates. We were invited there to speak at an Indian school. There they don’t mind if we to talk to an Indian school because it is for Indians only. But to make it really official, they called the Minister of Education to come and open the function. His name is Sheikh Nahayan. He came to open the conference on Sathya Sai Education in Human Values for teachers. Well, the Sheikh, I met him at the beginning, before we started the function. He said that he is a very busy man and he has to go to another meeting. So he would like to hear me for about 15 minutes, no more. Then I have to stop so that he can make an exit, so he can go out. Then the Sheikh asked to go on the stage, asking for the microphone. There he announced publicly that this program was such a great program that he wants all the teachers in United Arab Emirates to be trained. And then, they arranged a big meeting in the government hall. It is really very big, and there were so many invitees and there were 1500 teachers there. 70% of all the teachers who came were Muslims. But there were about 30% who were Americans or had come from European countries and so on, to help in the teaching in United Arab Emirates. So, I gave a talk and they were very happy. Since then, I had to go back again to talk to the teachers. During the last session I had in United Arab Emirates, not very long ago — only about three months ago, Sheikh Nahayan also came to listen. And again Sheikh Nahayan, who is the Minister of Education sat there and listened to all my presentation. You know, in my presentation I told the story about the king who had five wives. You know the story, right? You don’t know the story?!! So, the king invited all the male population to come for a big meeting. On that day, they planned to put up a tent for those who are afraid of their wives: Everybody who is afraid of their wife must go to that tent. Then there was to be another tent for those who were not afraid of their wives. In this way, the men were to be separated. The idea was that they would go to the tent of those who are not afraid of their wives and get advice from the men there. So the big day came. All the male population came for the meeting, but they all went into the tent for those who are afraid of their wives. Nobody came into the other tent. And the man replied, “Because my wife told me to come to this tent!” (Laughter) Swami told this story to all of us in the past. It is to illustrate that we are like the king. The five senses are the five wives. When our eyes see something beautiful, the eyes create a desire: “I want this, I want that.” And we are afraid of our five senses. We don’t control our five senses. We allow them to control us. So, Swami is urging us to become the king once again, and not the slave of the five senses. Thus, the first step in our lives is to learn to control the five senses. When I told this story to the assembly in United Arab Emirates, the Sheikh was laughing and laughing, and he was telling everybody, “In United Arab Emirates, we are only allowed four wives!” (Laughter) He was joking; he was actually very happy about it. So you see, that is another success story in another Muslim country. And now, I am doing a lot of training in Muslim countries. In Indonesia, it is very easy as they are very open. Now I’ve got to go and do a series of training for Muslim teachers in Indonesia. Another place where Sathya Sai Education is really spreading is Kazakhstan. The original people who lived in Kazakhstan are called Kazakhs. The Kazakhs are Muslims. And again, we were invited by the First Lady of Kazakhstan, who is a Kazakh. We started training in all the regions of the country. I’ve been there six times already. So you see, God is not just Father and Mother. Sometimes, you have to treat Him as a Friend. Sometimes, you treat Him as an Elder Brother. But He is also our Father and Mother. As such, He always has a lot of compassion and a lot of love for all of us. Another country where we are now really going into is China. China is the last stronghold of communism. But when I go in there, I see that they are becoming very quickly a capitalist country. The whole country is changing and they are moving rapidly into industrialisation. And because they moved very quickly into materialism, they have a lot of problems with their youth. So now, there is a demand for human values there as well. Then he asked me if I had been telling Swami about him, because Swami knew everything about him! I said that I didn’t know anything about his personal life. But Swami was talking about his personal life. So he told me what it was about, and he gave me permission to tell all these stories to everyone. Swami told him, “You are very worried. You are unhappy because your wife is dying. She has terminal cancer.” But Swami said, “Don’t worry about it. I will cure her.” And He materialised some vibhuthi and gave it to him to give to his wife. So he was very happy, but he thought that I had told Swami all about his wife. But I didn’t know anything about this. I had never met his wife, and I didn’t know anything about all that. I just smiled. Anyway, he went back, and he gave the vibhuthi to his wife. A few months later, he invited me to have dinner with them because they are based in Bangkok at the regional headquarters of UNESCO. His wife was perfectly normal, completely cured. Unfortunately, he was moved to another position. He was stationed in Berlin, Germany. So a new person came to take over the work while we were preparing for the big international conference. There was only one month to go before the conference. Then the new man came and said, “I don’t know anything about this. I don’t want to have anything to do with it.” At that time, there were lot of attacks on our organisation. Many people wrote to the UNESCO headquarters that they had better cancel all this, that UNESCO should not be involved with the Sathya Sai Organisation. But UNESCO had already invited everybody from around the world, very important people, and people in the top positions in education in every country. They were all going to be coming. But I continued, and we had our conference without UNESCO. The people came from all over the world because they had already been invited; they had got their visas, their air tickets and so on. So, they had all decided to come. Amongst these people, there were top-level people from China in education. And Swami put them right in front in the veranda for every darshan. There was this one Chinese educator, educationist. He was sitting there and he was watching Swami very carefully. After two or three days, he was so impressed when he saw Swami, and he was completely changed. He was sitting there on the veranda, doing this: he was shaking there, and I could see that he was crying. Then after the conference, he contacted me and invited me to go and train teachers there. You know, I have been trying hard to get into China, but I have been unsuccessful. I have been there. I have tried to talk to people; they are not interested in outside education. But because of that UNESCO conference, when UNESCO pulled out, we got a lot of very good contacts all over the world. Also with Hong Kong, part of mainland China, we have a big centre there and we are now helping from Hong Kong as well. China is now completely open and we are going to go there more and more and train their teachers. So, now you see how the Sathya Sai Education in Human Values is going to all corners of the world. And close devotees of Swami are whispering into my ear that big changes are coming very, very soon. Swami also said very clearly that peace will come sooner than what you expect. So, I don’t know if some of you were in the public lecture the other day. I told everybody that by the 90th birthday, we are going to celebrate peace in the world. I have been telling everybody that we love Swami so much, why wait for Prema Sai to have peace. Let us work during this Avatar. And things are really moving at a very fast speed now. You don’t have to change everybody in the world to have peace. You just have to have a little bit more than 50% of love, over hatred and negative thoughts — just a little bit over 50%! Then, there will be peace in the world!! If you see all the Sathya Sai schools around the world, you will find that there is so much love there. Some of you may have seen the videos by Gene Massey. Have you seen them? He goes around the world taking videos around the world. And he has said very clearly that he has seen the beginning of the new age of peace. That’s why Swami is spending so much time with the students and with the professors. Well, that is the story of the changes that are taking place very rapidly through Education in Human Values. In Thailand, in the Sathya Sai School, we are doing the same thing. We are promoting love. The only rule in the Sathya Sai School is the rule of love. The children grow a lot of plants. And every time we grow a plant, we send love to the plant first. Now we are growing rice in a big way in our school. Because I told everybody we must be self-sufficient. We must be able to feed everybody with rice without having to buy from outside. So, many times throughout the year, we will go into the paddy fields. The children and the teachers will go into the paddy fields, which are filled with water and mud. The children love it. And we always start with a prayer. Then we will recite the Gayatri Mantra. And then, we start to plant the rice. Children love to play in the muddy field. But at the same time, we send love to all the plants. Well, at one time, (we don’t do it so often now), the children planted a field and there was a field next door, where the staff and people from outside planted rice. We grew them at the same time; we planted at the same time. We observed that where the children planted, the rice grew at a much faster rate. When the time of harvesting came, the rice plants were much taller and there was much more rice harvested from the children’s field. So, love really works. If we give a lot of love, plants will grow. So that’s one thing that we really need to do in the world today: to fill the atmosphere of the world with love. Then all the plants, forests and so on will grow at a much faster rate. And this will reduce the effect of the global warming in the world. It will take away the carbon dioxide, absorb the carbon dioxide, so that the temperature will reduce in the world. Right now, because of the warming effect, the ice in the North Pole and South Pole are melting. The other month I was in Nanjing, in China, to talk about this training of teachers. The scientists there were measuring the level of the sea water. They now see two to three millimetres increase in the level of sea water every year. Well, this is going to be a big problem for our world. As the sea level increases, the weight of he ocean over the earth will also increase. The biggest ocean in the world is the Pacific Ocean. So the earth will become unbalanced because there is more water on one side. On the other side, we have lot of land masses like Asia, Europe and Africa. What happens is that the world, which is rotating in space, will start to wobble a little bit. And that will speed up the earth. The earth crust is divided into plates and is floating around. So we will start to have a big movement, more and more. By giving out a lot of love, all through the day, then we can lessen that effect. There’s no need to have a lot of disasters in the world. That’s why the Avatar is here. That’s why we have Sathya Sai schools around the world. That’s why the Sathya Sai Organisation is everywhere, in every country. That’s why we have a lot of bhajans. Because when we sing bhajans, we are filled with love. So, the whole organisation must work hard to produce a lot of love in the world. I took an hour to answer one question! (Laughter) Any other questions or you want to stop? It’s 11:30. Question: Is it necessary to teach Education in Human Values to children below eight years, for example, for only two months, if afterwards they are not going to continue it any more? Is it worthwhile? Is it necessary? Dr. Jumsai: Why aren’t they continuing? Questioner: Because the teacher will be changed. Dr. Jumsai: In the school? Questioner: She is not talking about a regular school. She wants to know if it is worthwhile to start the human values. Dr. Jumsai: It is always worthwhile to plant a seed for future generations. But then we should train all the teachers of the country. We should never stop with only a few teachers and say, “Aaah, we’ve done our job.” In Thailand, we have trained over 60,000 teachers already. And now, we don’t have to train any more teachers. The reason is because they are so interested in the program that they come and study for themselves. We don’t have to go to them anymore. We have over 200 teachers and educators who come to visit our school every week now. The Ministry of Education recommend to everybody to come and visit our school. And they are all coming; so we don’t need to go out anymore. This is what we want in every country, so that the movement will spread very quickly. Like Victor Kanu and his Zambia school; now people are coming to see his school because the school is known as the ‘miracle’ school. You heard the students of Swami talking in the last few days about how they have been affected by what is taught in his school. And most of them came only for a two-year course. They were not devotees before that. So after two years, there’s no more education; they go out into the world. But the seed has been planted, and they grow and grow wherever they are. And because they don’t know Swami, they said that it can only take place here in Puttaparthi as Swami is physically present here. So I decided to tell them that it’s not only happening in Puttaparthi. It is happening in many places. As an example, I gave the example of the Fiji Sathya Sai School in Fiji Islands. It is the only place on the Fiji Islands where there is no conflict between the Christians and the Hindus. The children, 50% of each, mix together. They are brothers and sisters. They are filled with love. I went to visit that school in the Fiji Islands. And I saw the best, cleanest toilets in the whole world. They were burning incense sticks, and they lit candles there, and they worship in the toilet!! They said that one day they saw Swami walking in the school, inspecting the school. Then, Swami walked into the toilet. They all rushed and followed him into the toilet. But Swami had already gone! And because of that, the children decided to come every morning, clean everything, light candles, light incense sticks and pray in the toilet. So, I gave this as an example to the educators to say that Swami is everywhere and therefore, we can replicate and copy what is going on here anywhere. Then they stopped arguing. No more argument after that. So, I hope I have answered your question. Question: For people outside India, how many training institutes are here? Dr. Jumsai: Well, we have set up institutes of Sathya Sai Education. Now, we have about 30 around the world. And the institutes are set up to train teachers. In Thailand, we also accept people from all over the world to be trained at our institute. In Thailand, so far we have about 60,000 people trained. We have to do it twice a week all through the year. But in other countries, they do it maybe once a month or even less. But now, we have got to do more and more. I travel around a lot, but I cannot do all the training around the world. It is up to the people in each locality. I have just been recently to a Spanish-speaking country — Mexico. And I gave a big talk to about 900 educators there. You know, I was so ill when I arrived in Mexico. And I had to have some, you know, they sent me some spiritual healers to heal me. The next day, I was supposed to speak. But still, the next day I was not feeling very well. So, I could not really talk. It was very difficult to talk as my mind was not clear at all. And I went onto the stage. I started to speak. There was one translator who was translating into Spanish. And then, I didn’t know what I was talking at all. I talked for two hours. And you know the people there were so moved by what had been said. One young girl came up and said she had been trying to commit suicide three or four times, but each time, she did not die. But when she listened to the talk, somehow her heart was shaking and she was moved. And she went to her parents and said, I have decided that I am not going to kill myself anymore. I am going to live; I am going to serve other people. She was completely changed. And even the organisers of the conference and all the participants said that something was moving in their heart. Many people were so moved that they all want to do education in human values. And I didn’t even know what I was saying!! So, you see that’s the power of Sai everywhere throughout the world. Changing people, we are going to bring about this new age of peace. There will be peace. Swami has promised that it will come sooner than what we expect. Previously, He said there will be peace in the time of Prema Sai. We know Swami is here for another 16 years. Then, one year after that, Prema Sai will be born. So, the time of Prema Sai will start 17 years from now. So, we can expect that in 17 years, there will be peace. But Swami said that peace will come sooner than what you expect. And He kept on stressing that it will be very, very, very soon. So, that’s why Sri Indulal Shah announced that we will celebrate the 90th birthday as the spiritual regeneration of mankind. And that’s when we expect that there will be complete peace in the world. Question: Sir, yesterday it was said that if more people develop a more loving attitude in theworld, Swami would heal Himself. Is it true? Dr. Jumsai: I bet! (Laughter) Swami is taking on the karma of the world. And if there are more positive thoughts, more love in the world, He does not have to take on any karma. So if all the centres in the world, if the whole organisation filled with love, always radiating love, Swami won’t need to take on any karma. The time is approaching when He will walk well again, bewell again, soon. I will tell you a secret. (Laughter) Yesterday, without any prompting — I did not ask Swami to go anywhere — He said to me, “I am going to Thailand.” But, don’t worry, it doesn’t mean that He will go to Thailand only; He will go to many countries. So in order to do that, He has to heal Himself first. Question: You spoke in one of the meetings that while training the teachers, instead of reacting from our subconscious, we must react from our human values when relating to other people. Would you please explain about this? Dr. Jumsai: The subconscious contains all of our past information, anything we have received, anything we have done, anything we have thought; all past experiences are stored in the subconscious. We all react because of the information, the data that has been stored in our subconscious. Is it good for everybody? If it passes these two questions, these two tests, then by all means, react to it. Swami tells us that this is what He calls ‘fundamental discrimination’. And it should be taught when they are really young, so that they will always use fundamental discrimination. At the same time, before reacting to anything, apply the human values. Use love. Love should be the main thing that we use for any reaction. So, love has to be the basis for all our actions and that will appear as human value till we get rid of the negativity that is in our subconscious. So, the next thing you need to do is to raise the consciousness towards God. Then we start to contact the higher consciousness, which is there in all of us. That is where we have our conscience that tells us, ‘this is good’ or ‘this is bad’. Then we don’t need to rely on our subconscious anymore because now we will get guidance from God. And our life will be transformed completely as a result. So we have to practice and practice meditation. Practice going into the silence, because that is where God is. It should be done every day. I am afraid it is past 12:00. I am leaving today. In the afternoon, I have my flight and I haven’t packed my bag yet, so I think it should end the session. Thank you very much for your super attention. (Laughter and Applause) Let’s end with “Loka Samastha”. Let’s send love. Needless to say, this is a malicious lie, one of many spread by Robert Priddy on his error-filled Anti-Baba websites and blogs. Notice how Robert Priddy did not divulge the name of the “prominent Sai doctor”? As a matter of fact, a common theme among Robert Priddy’s writings are his reference to unnamed people. Robert Priddy does not know the names of the people he references because the stories he attributes to them are fraudulent (just as in this case with Joy Thomas). Moreno personally knew Joy Thomas and was at Sathya Sai Baba’s Ashram in Puttaparthi when she moved out of her round-house flat and returned to the USA. The following comment was posted on Joy Thomas’ former official website: “In Loving Memory: Our beloved Joy peacefully merged with Baba at 12:50 p.m. Saturday, April 17th, 1999 at Hemet, California.” (Reference). Joy Thomas died in her home in the USA. She was not “left to bleed to death in a Sai Hospital” as Robert Priddy erroneously and maliciously contended. Robert Priddy adamantly refuses to correct this bold-faced and shameless lie on his defamatory and error-filled Anti-Sai website. Even though this article was originally released on May 25th 2006, Robert Priddy wrote another blogged article on September 18th 2007 (sixteen months later) and still repeated his brazen lie about Joy Thomas being left to die in a Sai Hospital by a prominent Sai Doctor. The only difference is that Robert Priddy claimed the prominent Sai Doctor was “reportedly some Dr. Singh”. Even though the facts are staring Robert Priddy in the face, he purposely ignores them because he is a tabloid-like leech who feeds off of the sleaze and slime in Anti-Sai gutters. Ex-Devotees adamantly refuse to correct their errors because they wish to inflict emotional trauma on unsuspecting Sai Devotees by deceiving them with fraudulent information obtained through rumors, gossips and unnamed sources. NOTE: From the morning there have been reports and rumors by some Television Channels and Newspapers that Bhagawan Sri Sathya Sai Baba went to cast His Vote in the morning. These rumors are totally untrue. 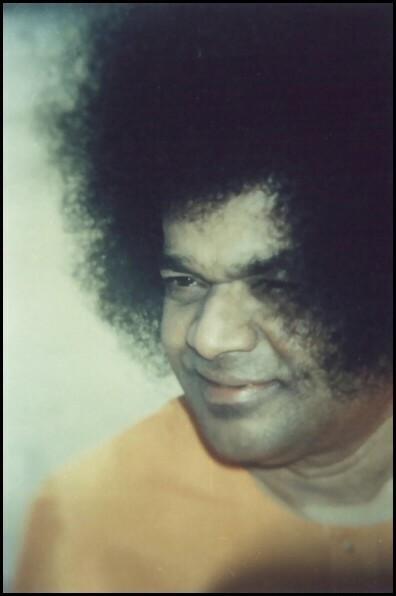 In the morning, Bhagawan Sri Satya Sai Baba went from the Mandir to the Airport directly (to go to Kodaikanal). Sathya Sai Baba is above any Political Party and this article is being published for clarificatory purposes only. Hyderabad, April 23 (IANS) Godman Sri Sathya Sai Baba Thursday cast his vote in Puttaparthi in Anantapur district of Andhra Pradesh. He went to a polling booth near his abode to exercise his franchise. This is the first time that Sai Baba cast his vote. He later left for Kodaikanal in his special aircraft. Saibaba, 84, has his followers across the world and they include several heads of states and governments, ambassadors, sportspersons and film stars. Chief Minister Y.S. Rajasekhara Reddy also cast his vote in Pulivendula assembly constituency in his native Kadapa district. YSR, as he is popularly known, left for Pulivendula from here and exercised his franchise in Bakarapuram area. The chief minister, who is seeking a third consecutive term from Pulivendula, told reporters that he was confident that the Congress would retain power. YSR’s son Y.S. Jaganmohan Reddy, who is making his debut in electoral politics from Kadapa Lok Sabha constituency, also cast his vote. Jaganmohan, an industrialist, told reporters that he had come into politics to serve the people. Earlier, YSR’s wife Vijaylakshmi, daughter Sharmila and daughter-in-law Bharati stood in a queue to cast their votes.